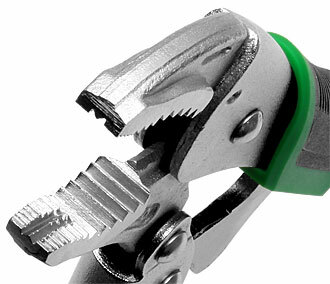 We’ve been selling screw removal pliers from ENGINEER for several years with great success. Even screws with damaged heads are quite easily removed thanks to the special vertical serrations on the gripping surface. Now your job has become even easier! 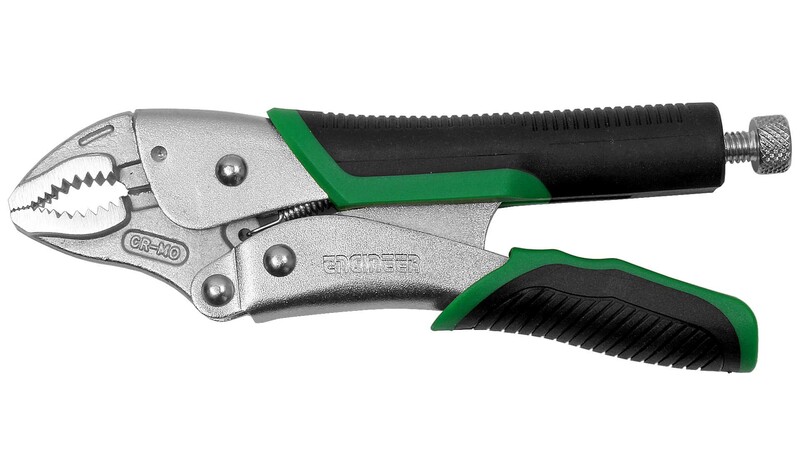 On the new screw removal locking pliers you do not have to press the handles together anymore while simultaneously turning them. 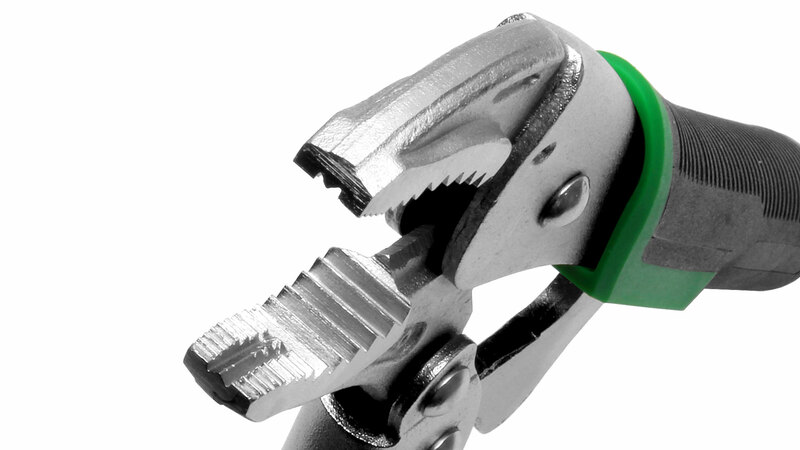 Tighten the knurled screw at the end of one handle to reliably grip the damaged screw head and then simply turn. You release the handle by tapping a finger on the inside of the moveable part of the handle - in essence you can do it one-handed. 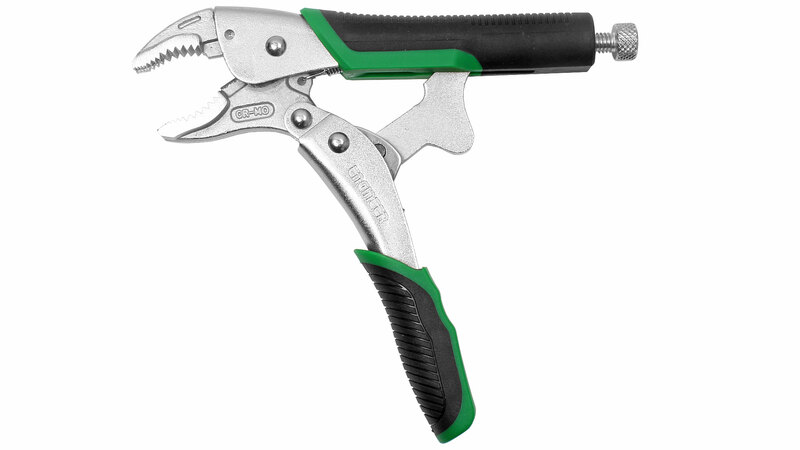 The grip is made of non-slip elastomer.